Principal Consultant at Wiser Usability, Inc.
At Wiser Usability, Jeff focuses on usability for older users. He has previously worked as a user-interface designer, implementer, manager, usability tester, and researcher at Cromemco, Xerox, US West, Hewlett-Packard, and Sun Microsystems. 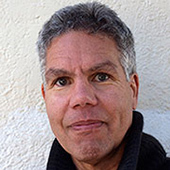 In addition to Jeff’s current position as Assistant Professor of Computer Science at the University of San Francisco, he has also taught in the Computer Science Departments at Stanford University, Mills College, and the University of Canterbury, in Christchurch, New Zealand. After graduating from Yale University with a BA in Experimental Psychology, Jeff earned his PhD in Developmental and Experimental Psychology at Stanford University. He is a member of the ACM SIGCHI Academy and a recipient of SIGCHI’s Lifetime Achievement in Practice Award. Jeff has authored numerous articles on a variety of human-computer interaction topics, as well as the books Designing User Interfaces for an Aging Population, with Kate Finn (2017); Designing with the Mind in Mind: Simple Guide to Understanding User Interface Design Rules (1st edition, 2010; 2nd edition, 2014); Conceptual Models: Core to Good Design, with Austin Henderson (2011); GUI Bloopers 2.0: Common User Interface Design Don’ts and Dos (2007), Web Bloopers: 60 Common Design Mistakes and How to Avoid Them (2003), and GUI Bloopers: Don’ts and Dos for Software Developers and Web Designers (2000).